Taking us from Afghanistan in the final days of the monarchy to the present, The Kite Runner is the unforgettable and beautifully told story of the friendship between two boys growing up in Kabul. Raised in the same household and sharing the same wet nurse, Amir and Hassan grow up in different worlds: Amir is the son of a prominent and wealthy man, while Hassan, the son of Amir’s father’s servant, is a Hazara—a shunned ethnic minority. Their intertwined lives, and their fates, reflect the eventual tragedy of the world around them. When Amir and his father flee the country for a new life in California, Amir thinks that he has escaped his past. And yet he cannot leave the memory of Hassan behind him. 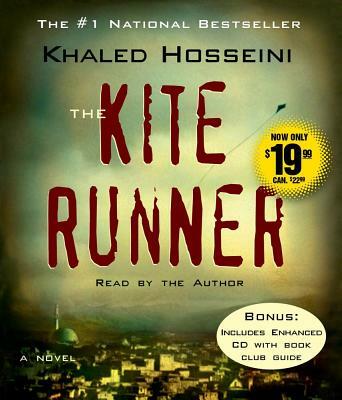 The Kite Runner is a novel about friendship and betrayal, and about the price of loyalty. It is about the bonds between fathers and sons, and the power of fathers over sons—their love, their sacrifices, and their lies. Written against a backdrop of history that has not been told in fiction before, The Kite Runner describes the rich culture and beauty of a land in the process of being destroyed. But through the devastation, Khaled Hosseini offers hope: through the novel’s faith in the power of reading and storytelling, and in the possibilities he shows us for redemption.